This unique team building workshop transforms your employees and friends into a pop and rock choir! You have seen it happen on the TV and now it is your chance to experience becoming a pop and rock choir. 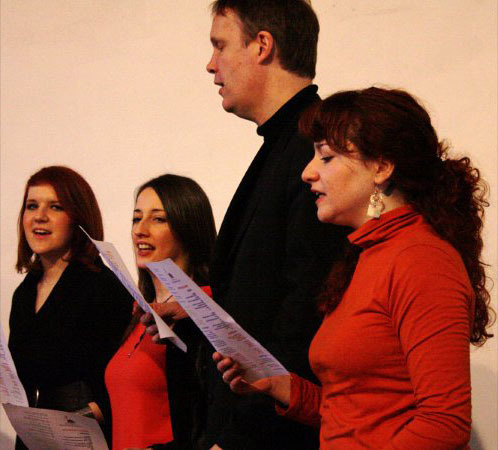 This singing workshop is perfect for corporate entertainment and team building. They can also organise for the participants to perform a flash mob singing performance. This workshop has taught thousands of people to sing and has a successful track record of getting even the most reticent and out of tune people to sound fantastic in pop rock choirs around the country. Their approach is upbeat, highly motivational and interactive. No previous experience is required and you don’t need to be able to read music, hold a tune or keep rhythm. The terrified and tone-deaf are welcome! There’s no audition and you won’t be put on the spot. The emphasis is on fun, lifting our spirits and singing our hearts out, for the love of it! For up to 100 delegates almost any large space can work providing there is adequate seating and that the acoustics are not either too bright (like in bathroom with echoing hard surfaces) or too dead (like in a thick carpeted and curtained room). Conference rooms, class room, or small theatres will usually suffice. 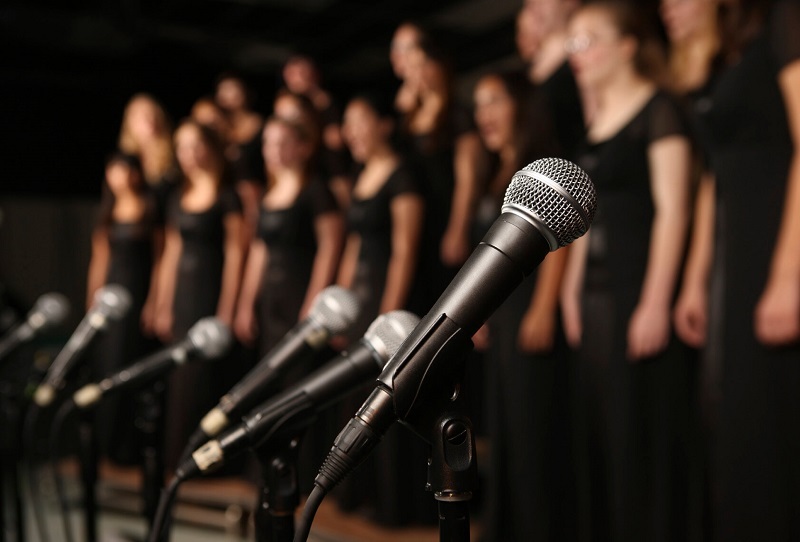 For a ½ day event or longer depending on numbers and how we structure your event you may want extra anterooms for rehearsing the separate harmony groups before bringing everyone together. This helps builds up anticipation for the grand finale. 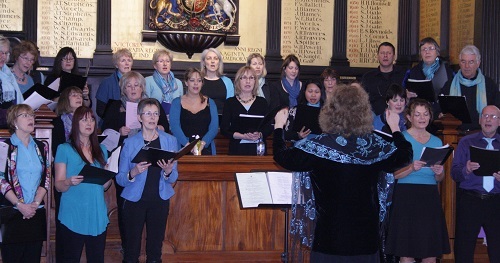 Sharing with others really helps people to forget their fears – they feel part of the community when they sing together. I feel like I’m walking on cloud nine! Thank you for providing such a life-affirming environment and giving us much more than the courage to sing, but the courage to learn, to have a go and to do our best. It has been lots of fun and inspiring, I will miss it. You really have reversed far too many years of negative thought on my part about the possibility of me singing. It means an enormous amount. I have just been through the darkest time of my 41 years of living, and I can’t explain how much your course has helped me. Not just to hang on in there, but has also given me real hope that things can be different in my future. …I’ve made loads of new friends, have created some ‘time for me’ …..I’d have never thought it possible! The environment you provide is one of support and encouragement, which in turn helps one search for and work towards fulfilling their potential both musically and in life. By singing, which is something I enjoy, I have more energy and I become more effective as a human being.